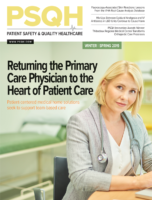 Long-term and post-acute care (LTPAC) and assisted living organizations face unique challenges in delivering high-quality care and positive resident outcomes in today’s healthcare environment. For example, LTPACs work against tight budgets to provide ongoing care to residents with a wide range of disease states and perform complex medication management for residents. These, and other multifaceted activities, could lead to re-hospitalizations if not managed effectively. In the past, long-term and post-acute care provided mostly maintenance care for the long-term resident. However, as hospitals move toward a model in which they quickly stabilize patients and discharge them to post-acute or long-term care facilities, LTPACs are seeing sicker residents who require a higher level of care. Many of these individuals have co-morbidities that require prolonged attention. Consider, for example, the hip replacement patient with diabetes who, five years ago, would have had a three-to-five-day hospital stay before being discharged. She is now being sent to an LTPAC within one to two days, and the facility is tasked to manage both the hip replacement recovery as well as the diabetes. If the facility is not prepared to efficiently manage the resident’s health, it could lead to a hospital readmission. Even though only hospitals now incur financial penalties for readmissions, LTPACs are affected through lower census due to fewer referrals from hospitals for having high readmission rates, underscoring the need to find ways to improve care delivery and coordination. At the same time, residents and their families are more involved in care decisions and are demanding a higher quality experience from healthcare organizations across the continuum of care. More than ever, organizations are having to answer to residents and their families about the level of service they deliver. Plus, residents have more options for care and won’t hesitate to seek treatment elsewhere if they are dissatisfied. Amidst increasing pressure from hospitals and patients, LTPAC and assisted living facilities must increase their engagement in the care continuum by updating operations and positioning themselves as key resources for hospitals and families seeking a comprehensive care setting for long-term care. However, many LTPACs are not ready to make this transition as they operate without a robust electronic health record (EHR) system. This limits their ability to monitor resident care on an ongoing basis or establish a longitudinal record across a resident’s lifetime. Additionally, these facilities must create a community of care with their partners in order to communicate with other healthcare organizations, including hospitals, labs, and pharmacies during care transitions. To fully embrace the future, LTPACs need to put the right technology in place and leverage it across the care continuum to achieve and support an optimized role in care management and help avoid re-hospitalizations. Despite the lack of MU incentive dollars and growing reductions in Medicare reimbursement, there are several financial reasons why investing in a full EHR platform is a good idea for LTPACs. For example, as payment methodologies shift from fee-for-service to value-based care, organizations will need to uncover ways to provide greater quality at reduced cost. An EHR that leverages clinical decision support and analytics can facilitate these efforts, offering greater efficiencies, fostering better communication, and delivering more consistency to care processes. Additionally, as LTPACs look to participate in value-based care models, such as accountable care organizations or risk-sharing agreements, they must be able to exchange data with other care providers. If the facility is still using a limited EHR system, the organization is immediately at a competitive disadvantage from the perspectives of reimbursement and resident care. As mentioned before, LTPACs are challenged with caring for sicker residents with more co-morbidities. A robust EHR can be a valuable tool in overcoming these challenges, as it offers clinical decision support by providing real-time data at the point of care, allowing the organization to become more proactive in monitoring and predicting a potential change in condition. Multi-facility LTPACs benefit by leveraging analytics to monitor trends across facilities and implement best practices on a global scale. For instance, if an organization is looking to assess how well it is controlling diabetes for its residents, it may examine mean HbA1c levels across its care sites. If there are variations among facilities, care teams in the organization can identify the site with the most consistent HbA1c rates, understand its policies and clinical best practices, and coordinate adoption of these best practices across all locations. This technology also helps organizations standardize order sets, assessments, and processes to speed up data entry, support compliance, and reduce variability. Moreover, it fosters better care coordination by importing and sending resident data to other providers and members of the care community, such as laboratories, pharmacies, and diagnostic facilities. Ultimately, it provides a full view of the resident and allows the LTPAC provider to make more informed care decisions, achieve positive resident outcomes, and avoid re-hospitalizations. Look for a platform that creates a community of care. By strengthening relationships with community partners, such as laboratories, pharmacies, and hospitals, LTPAC and assisted living facilities can integrate and share information. This promotes clinical collaboration and operational efficiencies that will reduce re-hospitalizations and benefit both the resident and the LTPAC facility as a whole. Move beyond record-keeping. Technology enhancements can have a significant impact on long-term care quality rather than simply providing a means for clinical record-keeping. For example, a CDS-driven EHR can influence medication ordering and prescribing by providing decision support at the prescriber level and mitigating unnecessary and/or duplicative medication orders. Additionally, with medication management capabilities, a full EHR platform can help reduce prescribing errors for improved resident safety. Understand the workflow. A foundational step of technology adoption is clearly defining how the provider does his or her job and how the technology can be tailored to support the provider. LTPACs have unique workflow challenges, and it is important to have a complete understanding of provider workflow and how it can be improved before engaging a new platform. Technology should be used to enhance well-considered processes and care delivery rather than simply recreating an exact replica of paper-based activities. Don’t forget the financial piece. Some organizations leave reimbursement dollars on the table because they are not accurately tracking care. A financially integrated EHR can help LTPACs improve clinical and business operations to ensure maximum reimbursement for the contracted level of care. Focus on ways to mitigate risk. While clinical quality and patient safety is the first priority, it is important for LTPACs to understand the financial impact of these tools. For instance, many of the deficiencies identified during accreditation, federal surveys, or state surveys carry hefty financial penalties. Organizations can avoid these by using the comprehensive EHR to identify risks and proactively mitigate the liability of a deficiency. As a result, the organization incurs less financial penalties while also getting a break on its own insurance rates for preventing adverse events that cause resident harm. The new model of care delivery requires LTPACs to accept sicker residents sooner, deal with more comorbidities, and serve in the role of intermediary to manage the patient after discharge. This includes responsibility to help the discharging hospital avoid potential readmission penalties. With a robust EHR technology strategy, LTPACs can take on this new role by improving decision support at the point of care with real-time data and facilitating greater communication in a community of care with other providers, both of which play a critical role in reducing re-hospitalizations. Steve Pacicco is CEO of SigmaCare, an EHR partner for long-term and post-acute care providers.